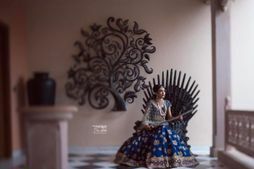 From Lehengas with Trains to Doughnut Wedding Cakes: What We Learnt on Instagram This Week! So another week, and another cool list of all the awesomeness we spotted on Instagram this week! Scroll and drool ladies... scroll and drool! Here's what we learnt on Instagram this week! 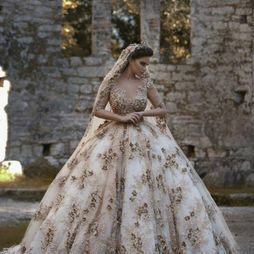 How awesome would it be to make a bridal entry like that??? Manish Malhotra's latest collection had a lot of gold and a lot of sequins- and this off shoulder one really stood out! Perfect for this wedding season! That bright purple is an awesome hue for the mehendi too! 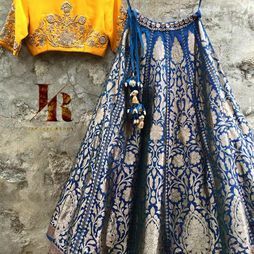 Such a pretty and unique colour for the bride to rock on her mehendi! They work well for the stage backdrop, or even as a photobooth! How gorgeous are these hanging floral arrangements? So different from the ones we usually get to see! These brocade-print boxed scroll invites are so special- instead of one, there are multiple scrolls for different functions! That yellow and pink is such a happy theme for the mehendi! 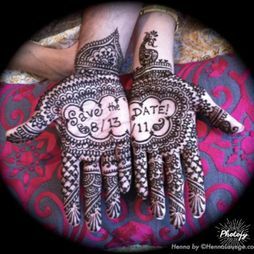 Love this happy mehendi decor! Brightens up everything, right? It's like a dream come true! So, that's all for this week's Insta inspiration guys! Pastel Scooters and Indianised Chokers: What We Learnt on Instagram This Week! From A GoT-Inspired Bride to Bejewelled Sneakers: What We Learnt on Instagram This Month! 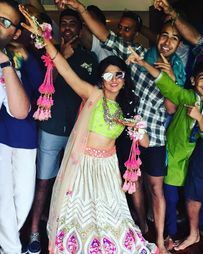 From Lehenga Gowns to Tassel Jewellery : What We Learnt on Instagram This Month! From Rose Gold Heels to Indianised Wedding Cakes: What We Learnt on Instagram This Week! What We Learnt on Instagram This Month! Pink Kaleeras & Zardosi Stan Smiths: What We Learnt On Instagram This Week! From Quirky Juttis to Pearl Kaleeras: What We Learnt on Instagram This Week! 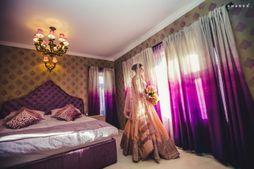 The Newest, Most Awesome-est Wedding Photography Trends for 2017!